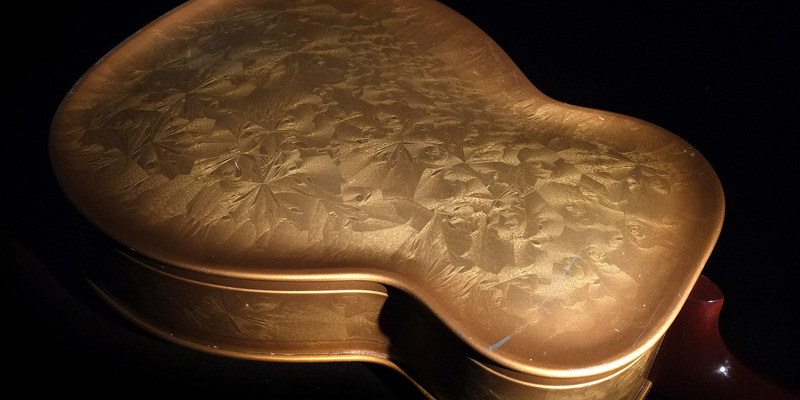 Here is an original gold frosted duco M32 fiddle-edge Dobro. 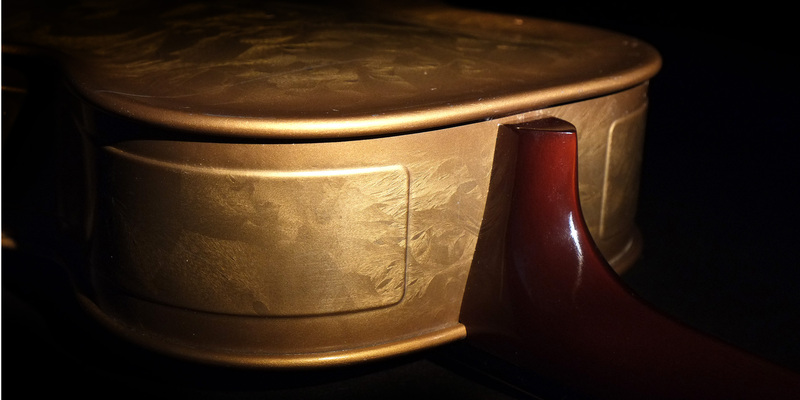 The finish is pretty intact on this one and frosted duco fiddle-edges are not very common. 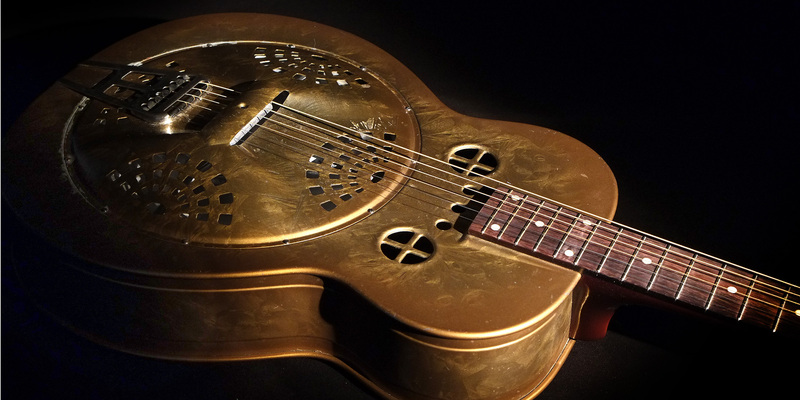 This one is a nice example of the crystal finish on a Dobro. The lighting here really pops the crystals. In person they are pretty subtle. 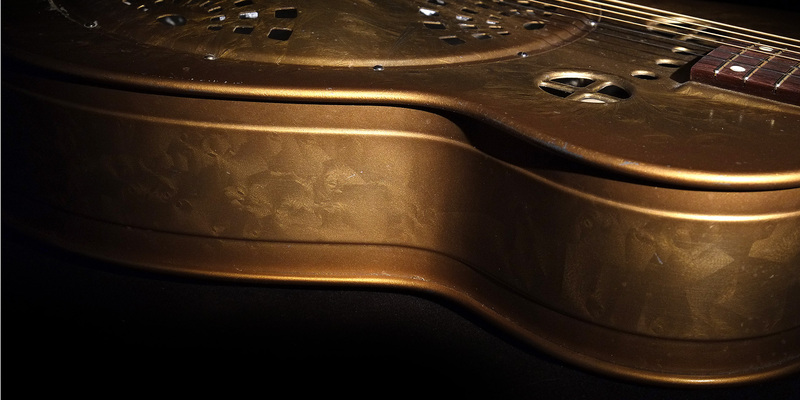 The pictures also show the subtle red/brown burst. 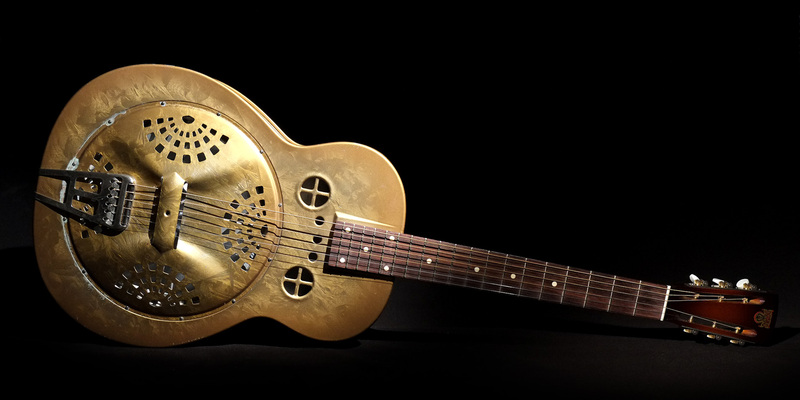 In 1935, Dobro was merged with National to form the National-Dobro Company. 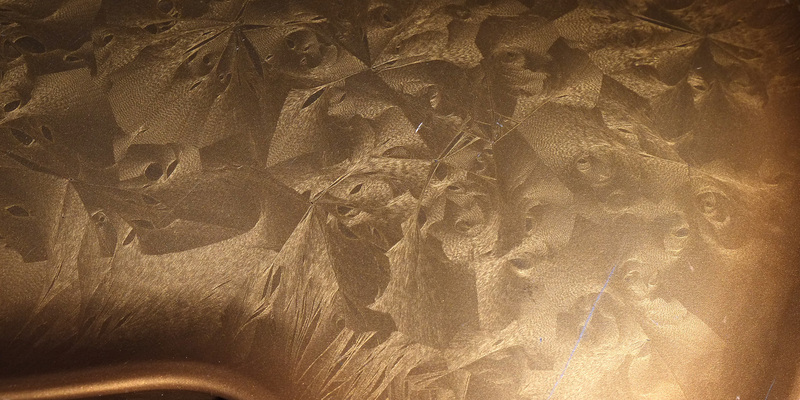 Some of the design and manufacturing techniques were merged too. Frosted duco paint might have been one of those techniques. 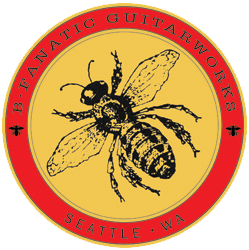 This was the first year that Dobro produced metal body guitars and the first year they used frosted duco, too. 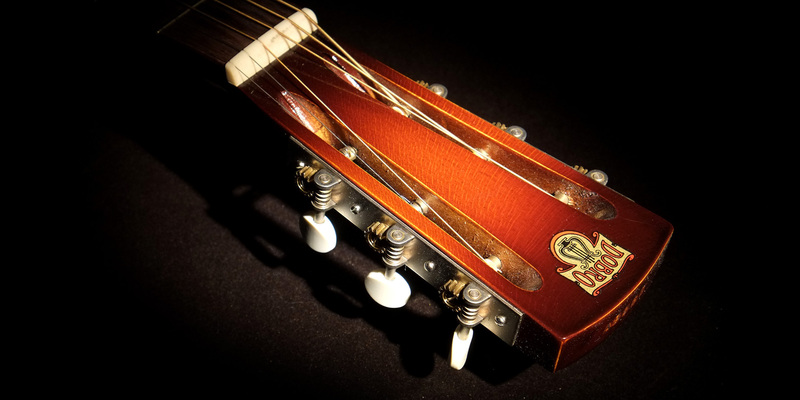 1935 was also the only year that fiddle-edges had a slotted headstock. This guitar has had some neck work done and the neck has been refinish. 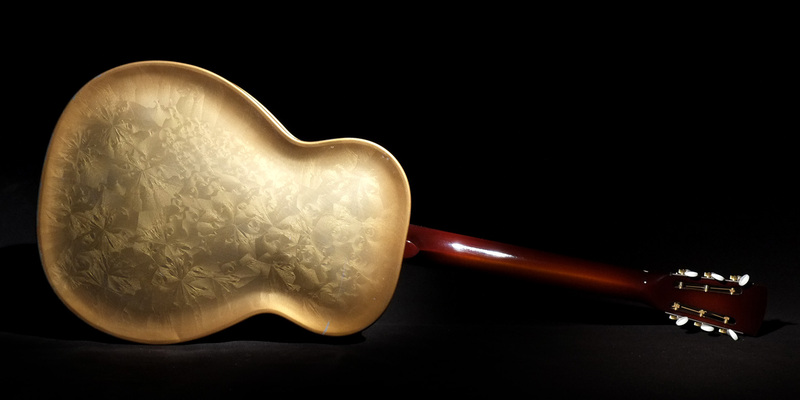 It has its original cone, spider bridge and the unique original tailpiece.